Processes are continually being optimised to reduce the time and expense needed for product development. At the moment, many designers start the product development process by creating their initial design in 2D. To move it to a 3D environment, it then has to be handed over to a different department or moved to a different CAD tool. It takes time and money to recreate 2D drawings into 3D models. Plus, it can also cause unintentional mistakes when moving the data from one environment to another. 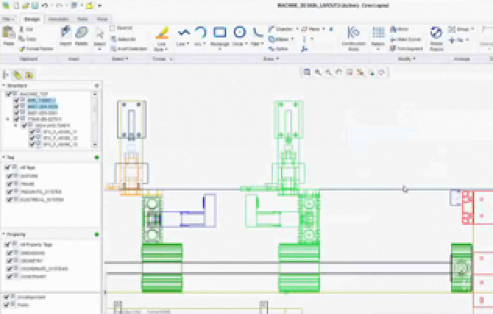 Creo Layout allows users to take advantage of 2D, without having restrictions when moving to a 3D tool. Creo Layout makes it straightforward to create detailed design in 2D, before then using this information in Creo Parametric. As all the apps within the Creo product are fully integrated, it makes moving data between them easier than ever before.